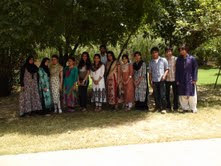 Lahore School threw a Farewell Party for graduating MBA class on June 19, 2012. The event was held under a stunning setting, perfect for the ‘night to remember’. The evening started with a walk down memory lane where slideshows were shown to the gathering. The slideshows provided a chance for all the students to revisit their past and remember all the fun times they had at the School. An interesting and highly anticipated awards session then commenced, with the students voting for the Best Teachers and TAs for Finance and Marketing Sections, which were awarded by Dr. Azam Chaudhry, Dean of Economics. Andaleeb Abbas bagged the title for the Best Teacher: Marketing, and in her victory speech, she talked about the three Cs that guided her in her life: Conviction, Courage and Commitment. The Best Teacher: Finance was awarded to Dr. Shakil Faruqi, who gave a message to his students not to forget about “who they were and where they were from”. The Best TA award for marketing was given to Rabia Mansoor, and Hira Akram received the Best TA award for Finance. 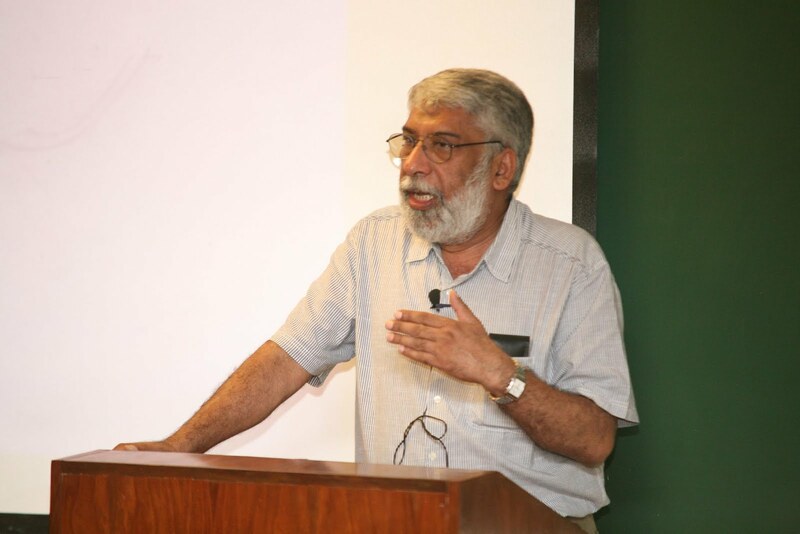 Bakhtiar Khawaja, the CEO of Learning Solutions and ex-HR Group Head, Bank Alfalah came to Lahore School of Economics and gave a talk to students enrolled in the Business Communications course in the SBS Library on June 21, 2012. Bakhtiar Khawaja has a vast experience in HR, and knows CV writing, cover letter writing, interview skills well and how students could improve themselves and make themselves a cut above the norm. Salman Nazir, the Head of Supply Chain, Nestle Pakistan visited the Lahore School of Economics on June 23, 2012, and delivered an informative talk on Supply Chain Management in the Mehmood Chaudhry Library. Presentation covered core supply chain activities of Nestle and also highlighted the methods employed by the company for different types of customers. Salman Nazir also showed a video Safar Bakhair which dealt with ensuring safety standards for drivers of the company who have to deliver items from one place to another. The short documentary showed the impact of the Safe Driving Program with the titular name not only for the company, but also for the drivers. Sohail Aziz, Managing Director at Message Communications visited the Lahore School of Economics and gave a talk about various aspects of advertising on, June 14, 2012. Sohail Aziz addressed students of Promotions Management course and talked about different types of advertising. He differentiated between Above the Line (ATL) and Below the Line (BTL). The talk also covered differentiation between normal advertising for products, and corporate advertising, which deals with services. In addition to that, there was a discussion on advocacy in advertising, which also helps make behavioral changes towards the image of a product or a company. Corporate Social Responsibility or CSR used by many companies in this day and age is one of the methods used to improve and build an emotional relationship between the company and the consumers. Third United Asians Debating Championship (UADC) - world’s third largest debating competition- was held in Kaula Lampur, Malaysia in which 88 international teams participated. This year Lahore School team (Wasae Imran, Ali Akbar Abbass Rizvi, and Xenia Rasul), the only representative of Pakistan, team ranked 12th in the roster of 106 teams and achieved new highest rankings for individual speakers. The United Asian Debating Championship (UADC) is an annual debating tournament for teams from universities in Asia. It will be the largest inter-varsity Parliamentary Debate tournament in Asia, with over 600 participants. The UADC holds debates in the Asian 3-on-3 format Parliamentary Debating. The UADC, like the AUDC and the All-Asians, is held annually in May. The competition involves eight preliminary rounds, which become power-paired as the tournament progresses, matching the strongest-performing teams against each other. The debates follow the Asian 3-on-3 format, which is a variation of the Australs format. One team (of 3 speakers each) forms the government and the other as the opposition. The process of scoring and pairing these teams is known as tabbing. The scoring of teams is done by judges, most of whom are students or former students from the competing institutions, who return ballots with their scores to the adjudication team, led by a Chief Adjudicator (CA) who is assisted by one or more deputies (DCAs). The Lahore School of Economics has been educating and training the youths to become professionals in their chosen careers for the last nineteen years. In about two decades, students who had graduated from the School have been spread out to other parts of the country (and world). The alumni met ups are purposeful events, which bring along students from different years to meet with each other to improve networking possibilities and to see how well the alumni are doing after graduating. 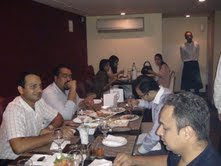 Twenty Lahore School alumni from the Karachi Chapter got together at Fuchsia, Zamzama on Thursday, May 31 2012.